In todays multicultural society, cultural competence will play an increased role in the physical therapists daily routine from the classroom to the clinic. As key phrases will be heard more and more in the health care community: knowledgeawarenessattitudeskills, a text that can take cultural competence learning to the next level is essential. 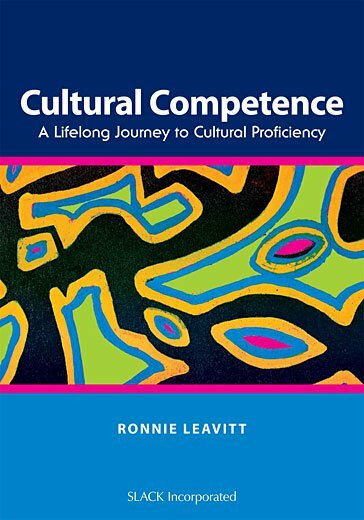 Cultural Competence: A Lifelong Journey to Cultural Proficiency provides a comprehensive, theoretical and practical approach to increasing knowledge and awareness, improving attitudes, and providing the necessary skills for practicing cultural competence each day. Dr. Ronnie Leavitt, along with a group of contributors with a range of backgrounds, both in physical therapy and the social sciences, provides an evidence-based text looking to explore practical applications in a wide array of settings. Cultural Competence addresses cultural competence by discussing the special considerations one needs to learn about rather than specific population groups. Also discussed is how different theorists describe cultural competence, as well as methods of measuring cultural competence and government policies regarding cultural competence. Cultural Competence: A Lifelong Journey to Cultural Proficiency is the ideal text for physical therapy students and clinicians, occupational therapy students and clinicians, and other rehabilitation professionals looking to begin a journey towards understanding how to take into account a patient’s cultural background in the classroom or clinic. Ronnie Leavitt has been instrumental in bringing the socio-cultural and public health perspective to the profession of physical therapy. Dr. Leavitt began her career as a physical therapist at Harlem Hospital (1968) where she quickly learned that her “life of privilege” is not universal. In 1971, she embarked on the first of her many trips to developing nations that further reinforced her thirst for exploring different ways of life and cultural perspectives. Dr. Leavitt pursued her graduate work in public health and medical anthropology. These areas of study matched her interests in people from diverse cultures, global health, and social justice. Her doctoral dissertation, Health Beliefs and Behaviors of Families With Disabled Children in Rural Jamaica, led to the beginning of her expertise in cultural competence and international rehabilitation. During the early 1980s, these areas were rather new to most physical therapists. Highlights of Dr. Leavitt’s professional accomplishments include being a co-founder of the Cross-Cultural and International Special Interest Group (CCISIG) of the APTA and Physical Therapy Overseas (PTO), a component of Health Volunteers Overseas (HVO). She has published extensively regarding cultural competence and international rehabilitation, has had professional presentations throughout the U.S. and internationally, and has volunteered as a physical therapist in developing nations. Dr. Leavitt has been honored to receive recognition for her work by both lay and professional groups, including the APTA CCISIG and the APTA Department of Minority and International Affairs. Dr. Leavitt was a faculty member in the Department of Physical Therapy at the University of Connecticut from 1979 to 2009. She has recently retired and is continuing to pursue clinical, academic, and volunteer experiences.